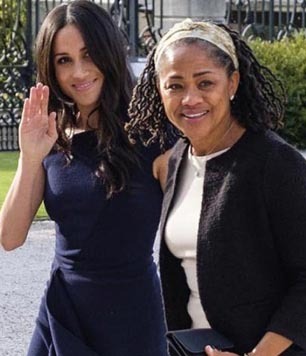 Meghan Markle and her mother, Doria Ragland, on their way to tea with the Queen, May 2018. Long before the new populist age of Doug Ford (and some would add Donald Trump), Mr. Manthorpe’s book on The Power and the Tories in Canada’s most populous province convinced more than a few readers that (strange as it may seem) Ontario politics was interesting. 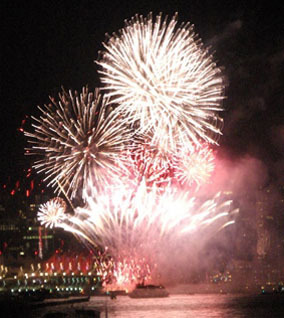 Canada Day 2018 fireworks set off between the North Shore and Canada Place in Vancouver start at 10:30 PM PT. Many years later, his report on life in the Commonwealth after the Queen usefully frames a broad policy debate we ought to be having (quietly and craftily) in all parts of Canada today. He urges that : “Directly electing the head of state sounds like a great democratic advance, but it is not.” From another point of view, this proposition at least deserves to be challenged, in a friendly, upbeat spirit, inspired by diverse traditions of compromise — and perhaps especially at a time when a president next door actually seems to be threatening the Canadian future (in one way or another). To start with, in what the Constitution Act, 1982 alludes to as our “free and democratic society” of the 21st century, our current haphazardly evolved method of filling the office of “Governor General and Commander in Chief of Canada” does beg to be reformed. 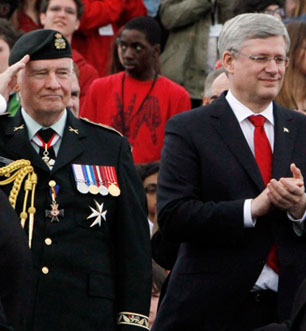 PM Stephen Harper and the Governor General he appointed, David Johnston. As matters stand, the monarchy back at Buckingham Palace may be “above politics.” But in 2018 the Governor General who does the practical work of the monarch (and head of state) in Canada is practically appointed by the Prime Minister of Canada (head of government). And how can someone who is indebted for her appointment to the country’s most powerful politician be credibly perceived as above politics? He illustrates these powers with a sketch of former Lieutenant-Governor Judith Guichon’s stabilizing role in the creation of the present BC provincial government, after voters delivered a? complex election verdict last year. Appointment of provincial lieutenant governors by the federal prime minister does arguably lead to office holders who are at least more “above politics” locally than governor generals in Ottawa — and more credible in exercising their limited but critical powers when need be. 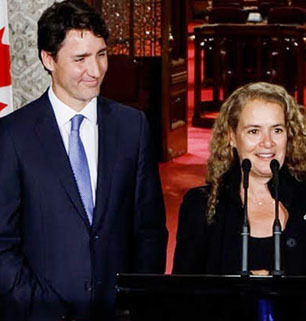 PM Justin Trudeau and the Governor General he appointed, Julie Payette. Jonathan Manthorpe does not dwell on the real-world problems of governor generals who may feel they ought to reject the advice of prime ministers in particular cases, but also finally feel unable to because they are appointed by prime ministers. Directly electing the Governor General of Canada would certainly give the office the soft-power credibility to actually exercise its limited but critical powers if and when the need arose, and the partisan advice of the prime minister seemed not in the best interest of? the Canadian people. 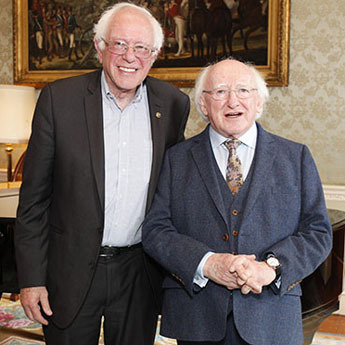 US Senator from Vermont Bernie Sanders visits Irish President Michael D. Higgins at his official residence, áras an Uachtaráin, June 2017. One crucial quarrel with this and other similar analyses is that they are all theoretical, without reference to real-world experience. Ireland, for example, has had a directly elected ceremonial head of state in a parliamentary democracy like Canada’s since 1937. 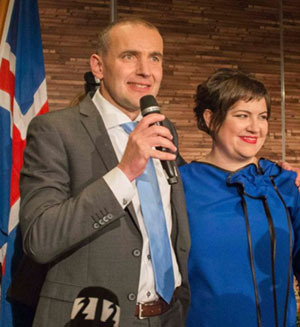 President of Iceland Gudni Johannesson, with wife Eliza Reid who grew up in Canada, at an election party in Reykjavik, June 2016. HALLDOR KOLBEINS / AFP/GETTY IMAGES. In neither the Icelandic nor the Irish case has the directly elected office in fact proved “a recipe for clashing egos and political stalemate” — over the past three-quarters of a century. Mr. Manthorpe similarly raises “the whole issue of how candidates would be chosen” as an especially problematic question in directly electing the governor general in Canada. Yet the method of choosing the indirectly elected ceremonial head of state in India (another modern parliamentary democracy and former British dominion, like Canada) suggests amendments to the current Irish nomination process, that would make particular sense in a northern North American federal system with a strong federal government and strong provinces. 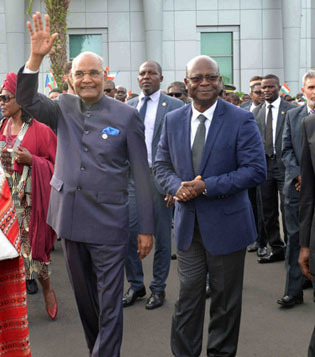 President of India Shri Ram Nath Kovind on a visit to Equatorial Guinea, Swaziland, and Zambia in Africa, April 2018. Candidates for the directly elected ceremonial head of state in Ireland must be nominated by 20 members of the Irish parliament, or at least four local municipal councils. Just as an example, a Canada inspired by the role of state legislatures in choosing the head of state in India might prescribe that a candidate in governor general elections must be nominated by, say, 30 ordinary registered voters, 10 members of the federal parliament, and 10 members of at least seven provincial legislatures representing 50% of the Canada-wide population. 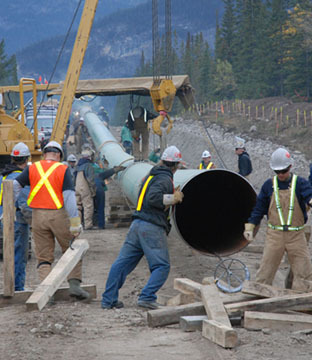 Part of the Trans Mountain Pipeline from Alberta to BC and Canada’s Pacific Coast has already been constructed. But the controversy over the Trans Mountain pipeline is arguably just one sign that we still have considerable undone constitutional work to do in Canada. The Quebec government’s June 2017 paper on at least starting to talk about ongoing constitutional issues is another. If Canada and the United States are in fact about to embark on a rather perplexing trade war between the two countries with almost certainly the closest relations of all sorts in the world today, resolving some kind of comparatively easy constitutional issue (who really stands to lose from electing the governor general?) could strengthen the Canadian future as well. As Jonathan Manthorpe and others point out, reforming the office of governor general would also require the agreement of the federal parliament and all 10 provincial legislatures. Yet as too seldom noted in discussions of this sort, this allegedly unheard-of unanimous federal-provincial agreement has already been achieved at least once in the 1992 Charlottetown Accord. 4. 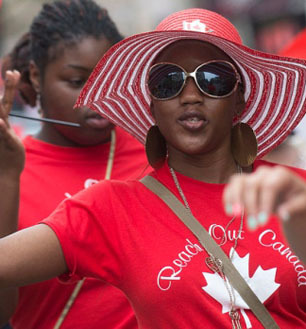 Towards a Canadian republic? But we may already be in a time when Canada will need to do a little more than follow easy answers, if we really want to show the rest of the world that we’re a place where innovation happens and things get done — regardless of our sometimes erratic, bullying neighbours. 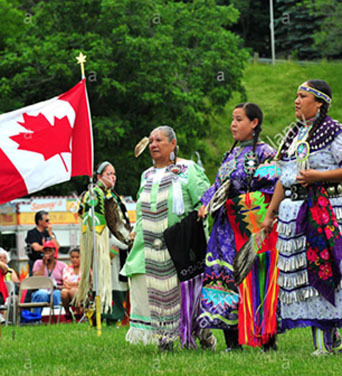 It could also be said that directly electing the governor general would ultimately imply a wider acceptance of the de facto “republican” constitution that some political scientists see Canada as having moved towards with the Constitution Act, 1982. 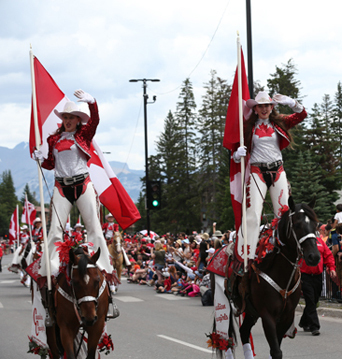 For the time being, however, the office of governor general in Canada could be made directly elected without wading into the undoubtedly more complex issue of just how the Constitution Act, 1867 would have to be amended, to finally remove all symbols of the British monarchy from the official theory of how Canada works. Electoral reform in Canada 2017 : a relic of the 4? months in 2015 when New Democrats looked like winners?